It depends on when the update went out, but usually it shouldn't take too long. That said, if you still see the site being blocked even well after it's been whitelisted/removed from the database then it could be an issue with your browser or system cache such as the DNS cache or website history needing to be cleared. You can do this manually or through a tool such as CCleaner. If after that the block still persists then try restarting the system, but generally clearing the cache does the job. Thanks for the update. Normally how long does it take for the site to be accessible again. Greetings, Please read and follow the instructions in this topic and then create a new topic in the malware removal area including the requested logs and information by clicking here and one of our malware removal specialists will assist you in checking and clearing the system of any threats as soon as one is available. Is my pc free of viruses? P.D: I don't know why my post is triplicated. There was an error when i tried to post it, i tried some times but i had the same error, so afther that i refresh the page and said me that it was satisfactory posted. I'm really sorry. Yes unfortunately you cannot manually exclude registry entries in the consumer version, however you can exclude a registry item easily from a scan. Just perform a scan so that the registry item is detected then uncheck the checkbox next to the detection and click Next then when prompted on what to do with the remaining detection select the option to always ignore the item and it will be added to your exclusions so that it is no longer detected in future scans. Greetings, Please read and follow the instructions in this topic and then create a new topic in the malware removal area including the requested logs and information by clicking here and one of our malware removal specialists will assist you as soon as one is available in checking and clearing your system of any threats. It definitely sounds like something may be on your system causing these repeated infections/detections and they should be able to help you to get the issue sorted out and your system cleaned up. I'd suggest going ahead and contacting Support directly to deal with this. I definitely don't want you to have to go without your protection any longer if possible. Please fill out the form on the bottom of this page to submit a support ticket and they will be able to look up your license info and get everything reset so that you can activate it again on your system. Hi, I have downloaded an aplication from github: https://github.com/Artikash/Textractor it showed what it had to, but didn't worked for me, so I deleted it. I'm reaelly scared from viruses, malware and all. I've restared 3 times the pc, and checked all the process, documents, programs, etc. and everything seems in roder, also I've ran 3 times the complete analysis of malwarebytes and the smart analysis of avast and they didn't found nothing. My questions is it's ok with those scans, my pc is free of viruses? Thank you in advice. Ari. I have used the Premium version for a while also. 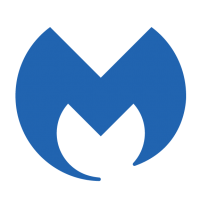 I have been using the free version of Malwarebytes. I have been getting about 27 threats every time I go online. I remove them and then have more the next scan that I perform. This just started happening. For many months I would scan and get no threats. Do I have a problem? I purchased protection for one year using app store for iPhone, I recently switched to android phone and download malwarebytes app and I am running in trial mode. How do I transfer the remaining months of protection to my new device? sure advancedsetup will be along soon. in the mean time have you any scheduled tasks you set up there a option to wake from sleep you may have ticked however thats only the first thing to check as there are other ways like remotely waking it up from another device so; have you created any tasks recently and unknowingly left the wake up button ticked. have you downloaded any software within the time frame thats created any to run and wake your comp on by default. lastly have you downloaded any new apps that might be sending your comp a wake up call. just covering basics as I know advanced works very hard to sort out folks problems and as said he will not doubt be looking at this when he back on. you can open task scheduler via press start to search windows or via the run option.press windows key and r to open run then type in the box that opens taskschd.msc there are other ways. It’s not spam. It’s just a notification that I have from the company.